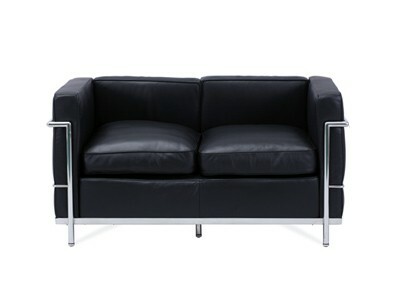 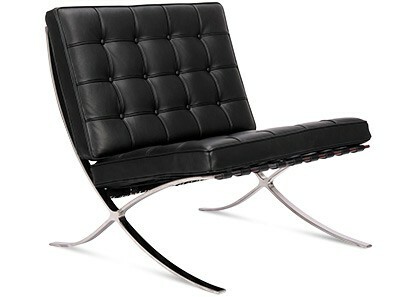 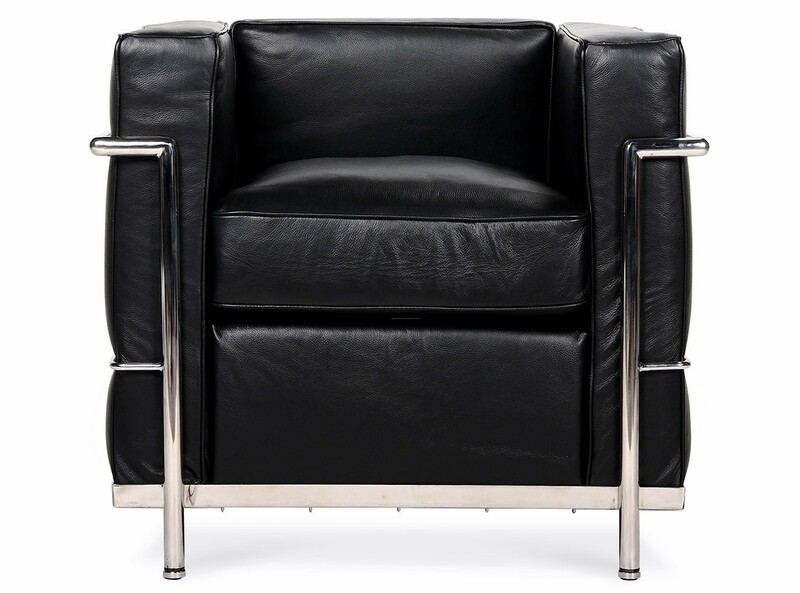 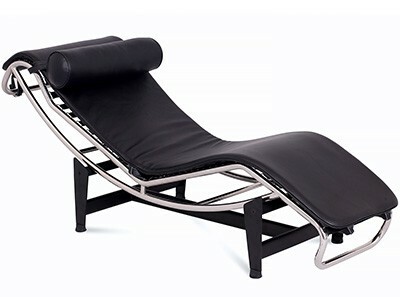 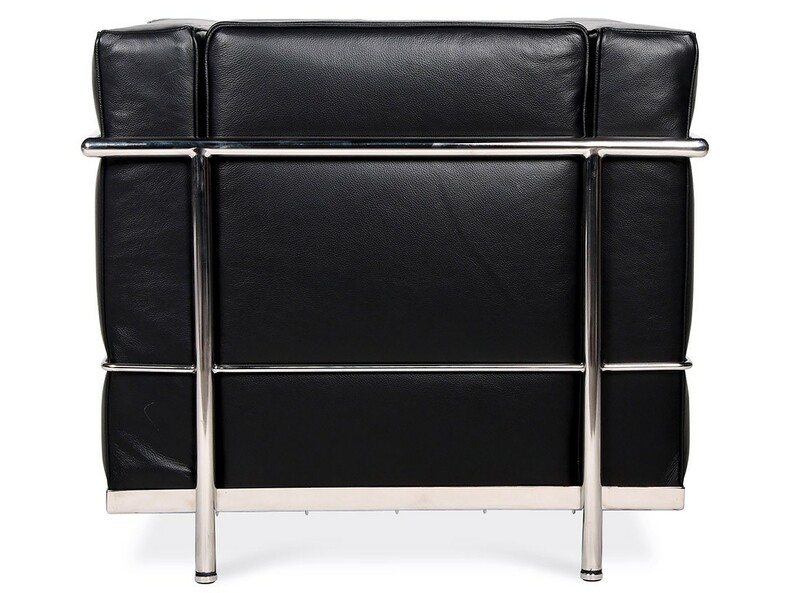 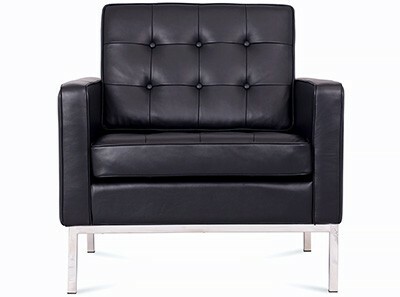 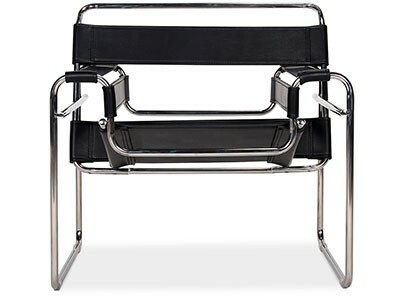 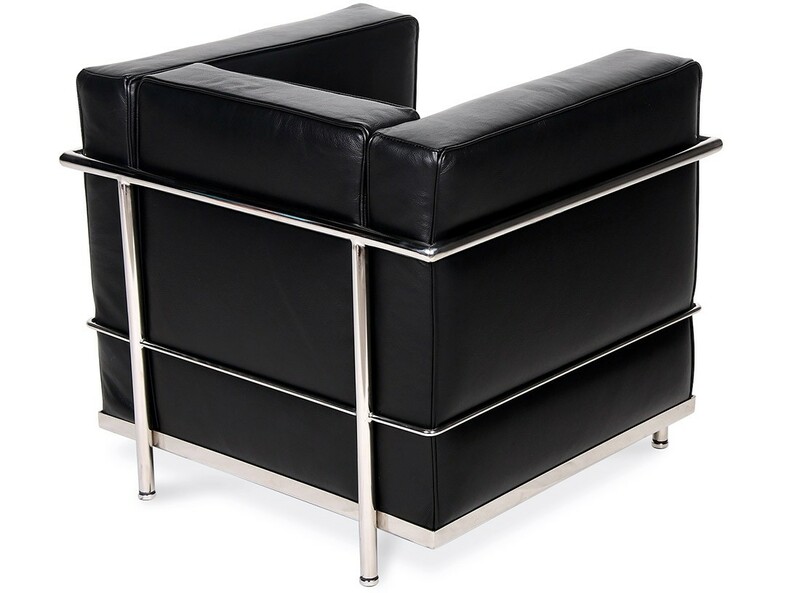 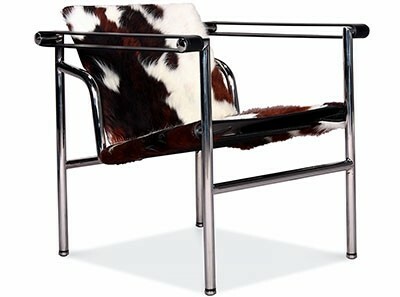 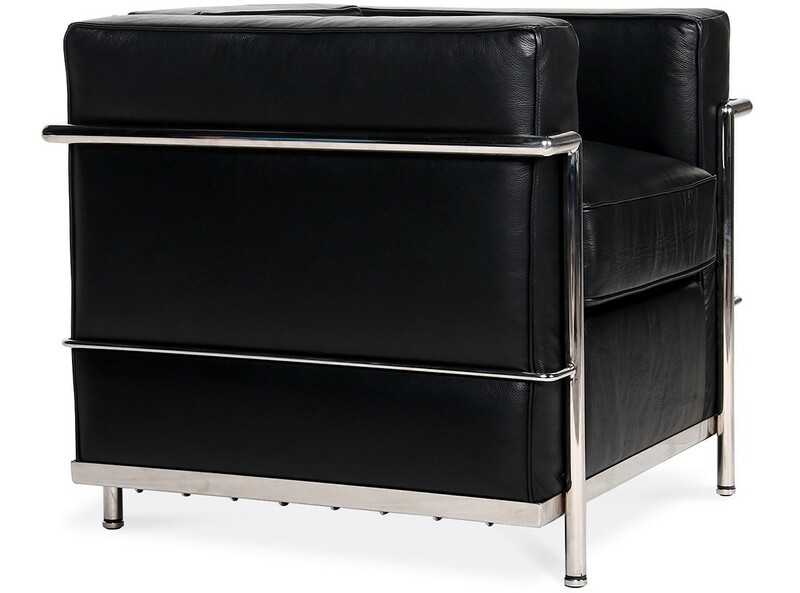 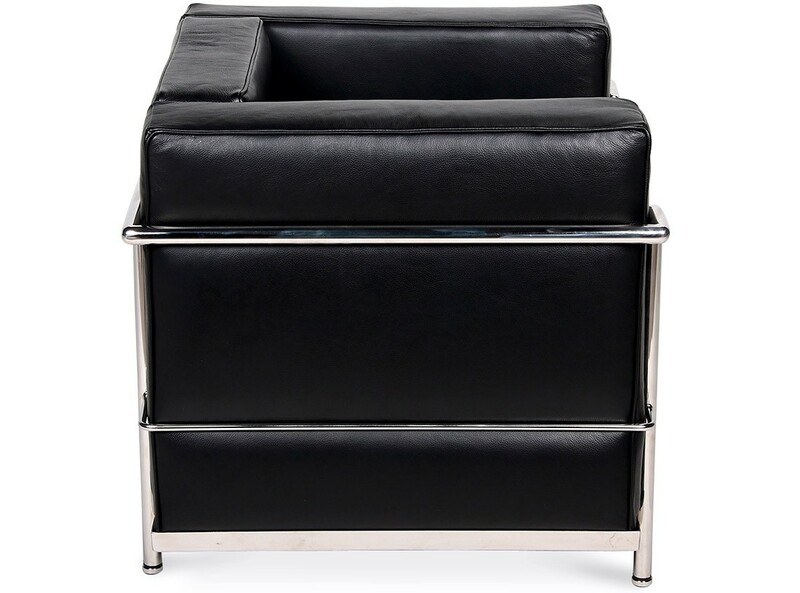 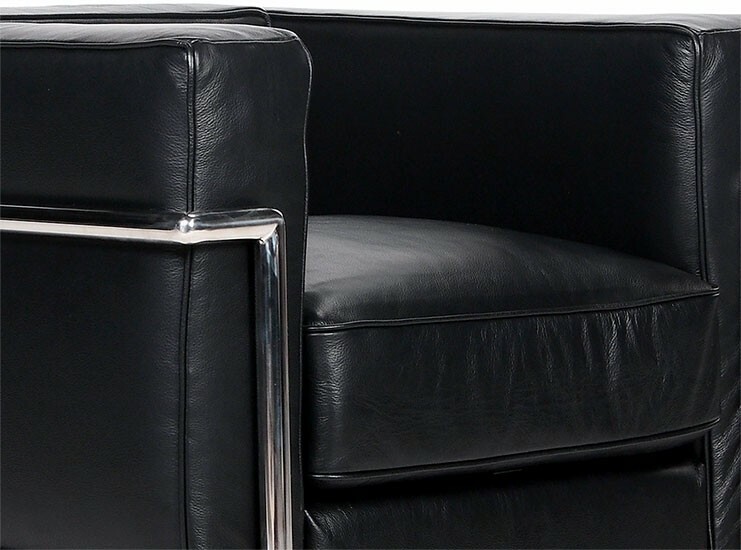 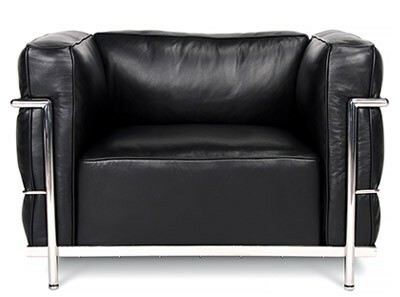 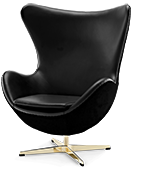 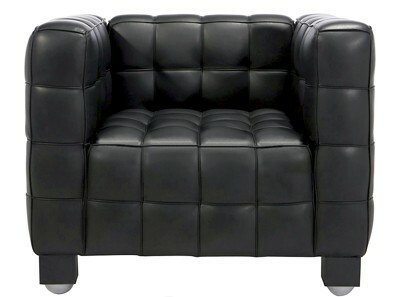 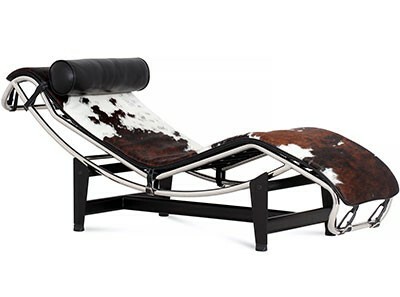 This is a platinum quality reproduction of the 1928 original cube shaped Le Corbusier LC2 Armchair Petit Confort Modèle. 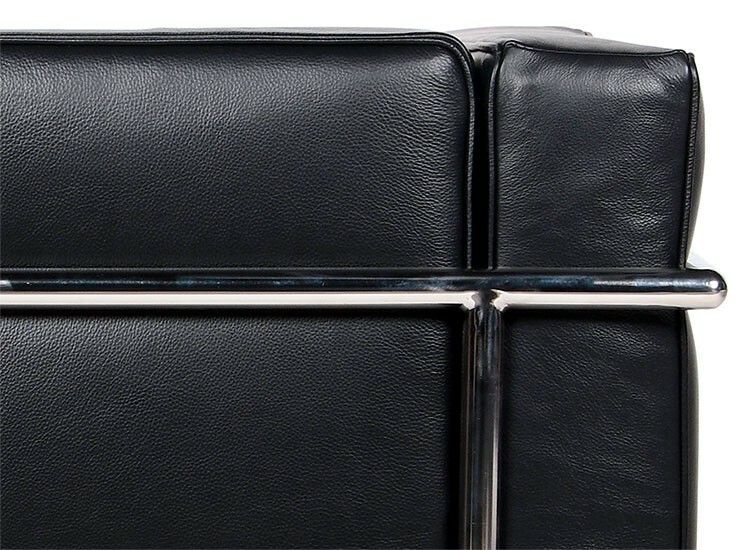 Handmade from the finest materials with a pre-stressed premium grade tubular Stainless Steel, the cushions are polyurethane injected 'Memory Foam' layered with Feather for extra comfort, shape and softness, while the chair is upholstered in a choice of 100% full-grain Italian Aniline Leathers. 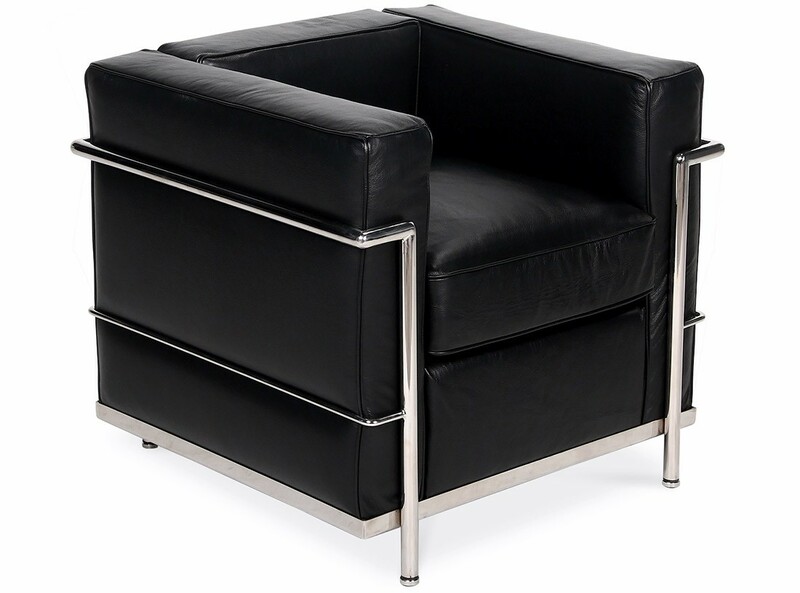 The Le Corbusier LC2 Armchair Petit Confort Modèle (Platinum Replica) comes with a Five (5) Year Warranty free of additional charge. 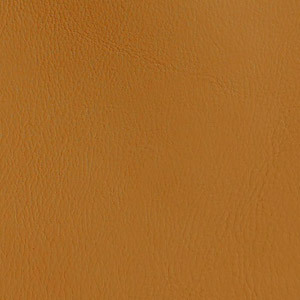 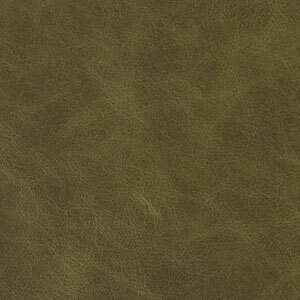 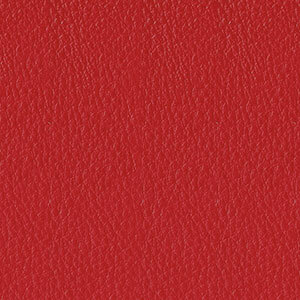 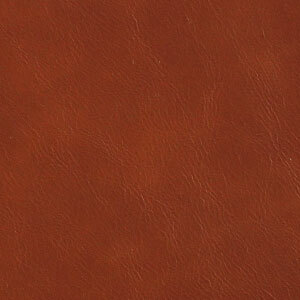 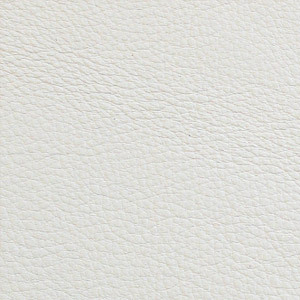 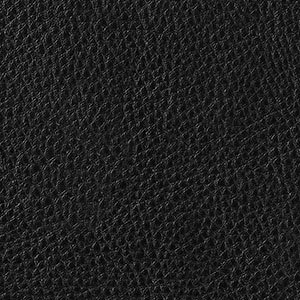 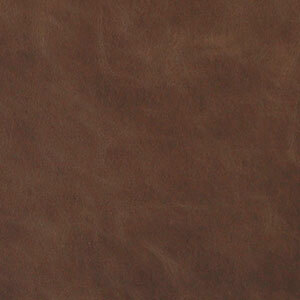 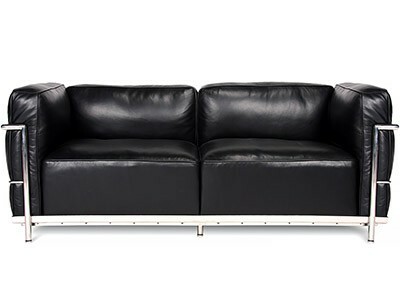 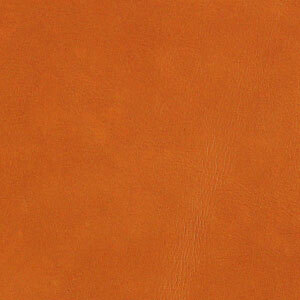 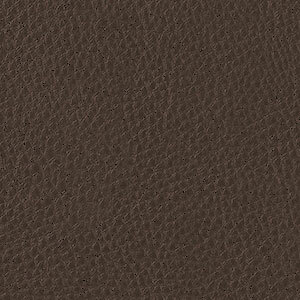 All surfaces are 100% leather, including piping. 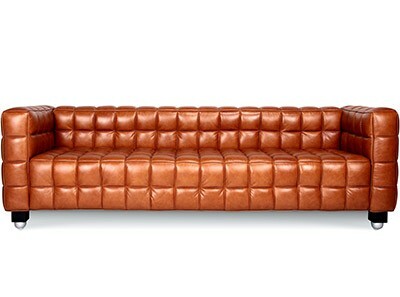 Cushions are polyurethane injected 'Memory Foam' layered with Feather for extra comfort and cushion shape. 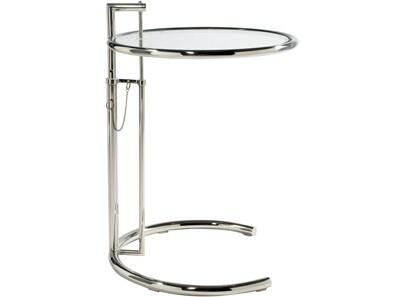 Tubular frame is pre-stressed chrome-plated Stainless Steel. 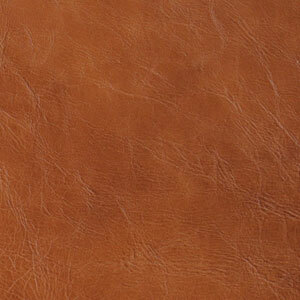 FSC® certified hardwood frame has been Kiln dry stabilised to prevent warping or cracking. 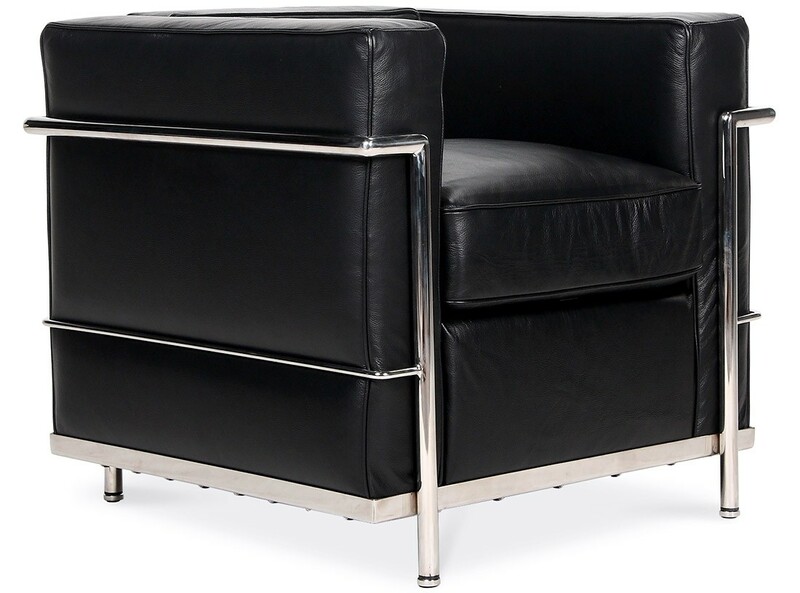 5 YEAR Warranty | SAVE 30% | This is a platinum quality reproduction of the 1928 original cube shaped Le Corbusier LC2 Armchair Petit Confort Modèle. 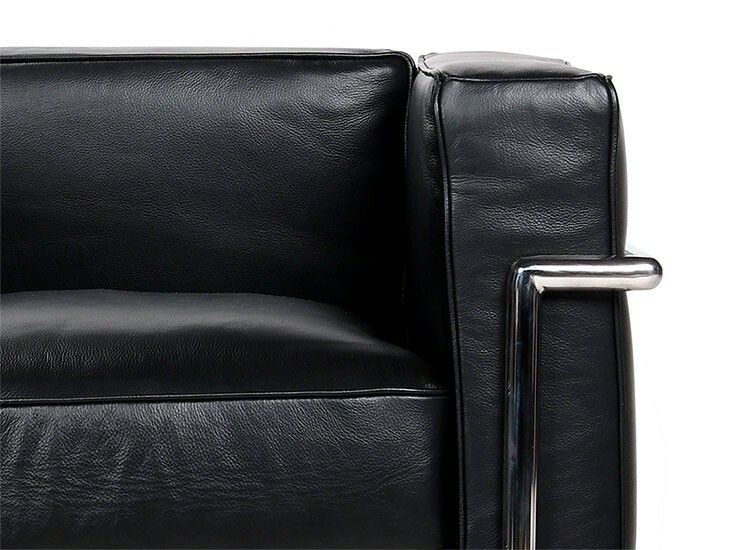 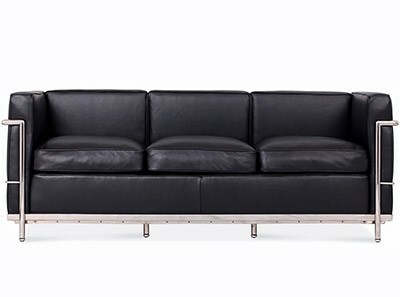 Handmade from the finest materials with a pre-stressed premium grade tubular Stainless Steel, the cushions are polyurethane injected 'Memory Foam' layered with Feather for extra comfort, shape and softness, while the chair is upholstered in a choice of 100% full-grain Italian Aniline Leathers.